A printer offline error is not an uncommon problem for PC users. However, it can be hard to fix, especially the first time that it appears. 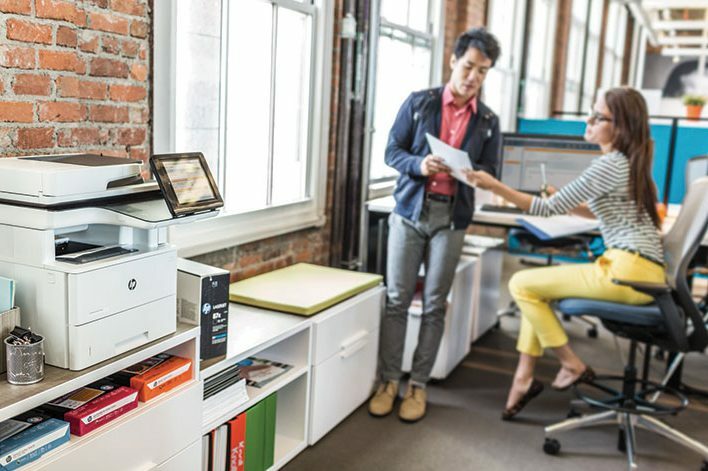 If your HP printer throws this issue at you while you are trying to get work done, you will need to do the following things to resolve the situation. In Windows 10 and 8, you can download and use a specific software called HP Print and Scan Doctor, which deals with many problems including printer offline conditions. Open exe in the download folder. After the program opens for the first time, hit Start and choose your printer from the list shown. If it is not there, turn it off and then back on again; then hit Retry. If the connection is flawed in some way, follow the instructions shown on the screen. Continue to the next step if the printer offline error persists. The purpose of this is to restore the connection between the device and the printer, and hopefully, the below steps should help you achieve that. Turn off the printer and wait for 10 seconds. After this, pull out the power cord. Turn off the PC or whatever device you are attempting to print from. Plug the power cord back into the printer, and wait for it to power on automatically. If it does not, then turn it on manually. If the printer is connected via wireless, you will need to restart the browser. After that, pull the power cord, and wait 10 seconds before plugging it back in. Wait until the network activity light on the router becomes active. Hit the wireless button to turn off the wireless connection. Alternatively, push the wireless icon. Turn the connection back on. Wait until your printer reconnects to the router. Plug the power cord back into the printer. Try printing something. If it works, then the printer offline error has been taken care of. Otherwise, move on to the next method. You may have changed the default print driver by mistake, which means you can have something as grossly unrelated as a WSD driver, which in all fairness has a similar name that the PC probably latched onto. 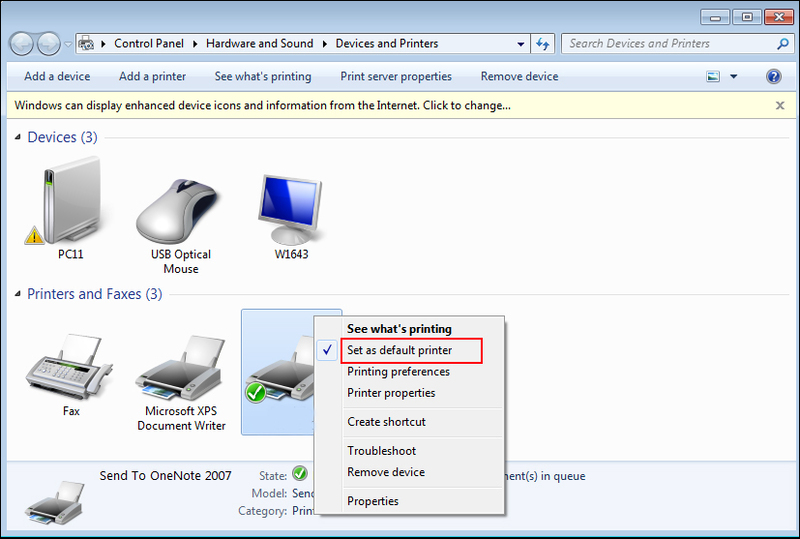 Change the default to the driver you installed originally, and confirm the use of the printer as online. Search for devices in the Start menu, and from the results that come up, select Devices and Printers. Right click on the grayed out printer shown here, and choose Set as Default printer. When a wireless printer is being connected to a network, it bears ensuring that the name of the network is the same as the one the PC is connected to. Refrain from connecting the printer to a guest or host network of the kind found in coffee shops, apartments, hotels, and schools. These would have additional login requirements or security features that can keep you from connecting. If the wireless printer cannot be connected to your network, then you should try using the wireless direct connection of the printer and see if that lets you print. The procedure for wireless direct printing is something our experts can help you with, so feel free to call us up on the toll-free number. HP is consistent with the printer updates it puts out, which for a user is a blessing on many levels. Updating your printer firmware may be all it takes to get rid of a printer offline error. Try that, and if it does not work, move on to the next method. Take out any attached USB cable from the printer. Click on Start and search for Programs and Features, and click on the first result that appears. 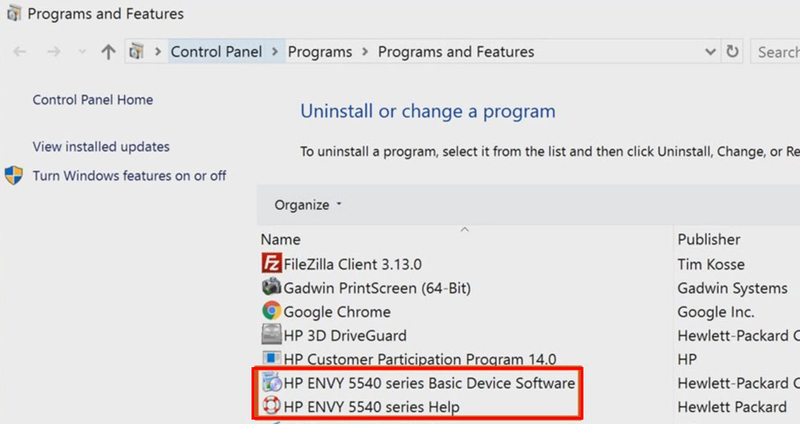 In the Programs and Features window, find the HP printer from the list of programs installed on the PC, and double click to start uninstalling it. Follow the prompts to completely remove it from your PC. Reinstall the printer software using either an installation disk or a newly downloaded installer file of the latest version available online. Complete the installation by following the instructions shown on the screen. Try printing something. If it works, then the printer offline error has been taken care of. If your printer offline error persists, call us on 844-204-2153 to have our team of experts fix your issue in minimal time. Certified experts know their way around troubleshooting printer problems, which means your printer would be in safe hands.